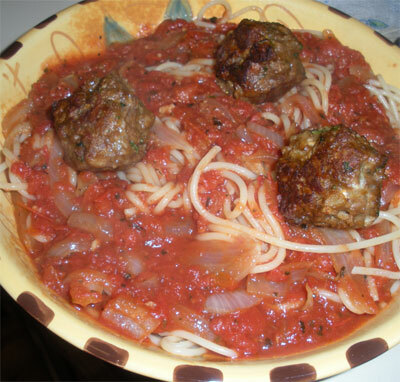 I enjoyed these with marinara sauce for a vegetarian version of the traditional Spaghetti and Meatballs. Delicious. 1) Mix all ingredients except olive oil together, using clean hands. 2) Form into balls, your choice of size. I made mine about the size of golf balls. You could make them really small and serve as an appetizer. 3) Fry in olive oil on medium-high heat, turning to brown on all sides. 4) Remove and let drain on paper towel. 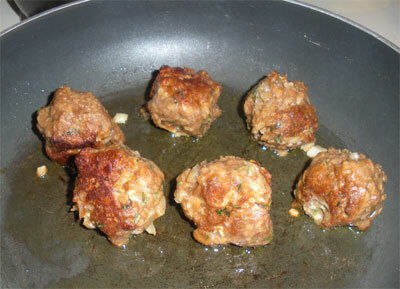 Makes 10 veg meatballs (golf ball size).